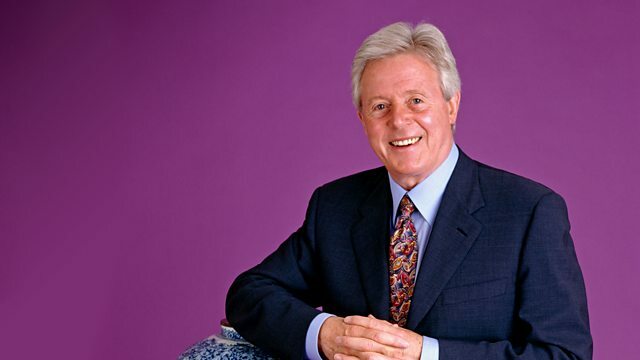 Michael Aspel invites members of the public to bring along their antiques for examination. Nelson, the Duke of Wellington and Mr Punch all make an appearance. Browse content similar to Hayward's Heath. Check below for episodes and series from the same categories and more! Welcome to what was once known as the Metropolis of Mid-Sussex. but the coaches Jack robbed gave way to trains. The town of Haywards Heath was created by the railway. with Brighton, "Queen of the watering holes" and favourite of the Prince Regent. He advertised a house for rent within a ten minute walk of Haywards Heath Station. The idea of working in London and living in a rural area caught on. It was the birth of the commuter. Its eight Italianate miniature pavilions would have been safety shelters for the men working on it. During World War II, the viaduct was used as a look-out to warn of air raids. It survived. Today's trains rattle safely over the 11 million bricks that were brought from Holland to build it. might be interested to know that the typeface used for London Underground nameplates was designed here. Edward Johnston was the creator of that lovely lettering. the Guild of St Joseph and St Dominic, and worked here in Ditchling, near Haywards Heath. Eric Gill was one of the 20C's finest engravers, known for his wood carvings of religious subjects. Such was his standing that he was invited to provide architectural sculptures for the BBC. where "Nation shall speak peace unto nation". Back in Haywards Heath, the Dolphin Leisure Centre is the venue for this week's Antiques Roadshow. This is a mechanical wine cradle, a decanting cradle. -And there we are... There's the mark inside, the label. And it's patented by Ellis and Adams. I happen to know that Joseph Ellis lived not a million miles from here. He was in Brighton and he invented this particular device in 1857. -Is it something you use? -My father was a wine merchant and wine taster. -And he was manager of Ellis, Wilson and Bacon. Well, of course, the word "elutriate" actually means to decant. -Vintage, vintage wine, yes, that's right. -To me, it's actually almost a piece of sculpture. -Because of the lees. You don't want it to slip back down again. -I've seen him do it many times. -So you'd have this constant gentle upward motion. and there was white paint along the top to show which way up the bottle was. -It would be carefully brought up. -By the old cellar man. -and in a way I feel it should look like it. -Now, have you ever thought about value? -It's just been sitting at home and there it is. -Very good, there it is and uncleaned. Well, of course the younger generation want to know! between perhaps £800 and £1,000, and it would have to be in a very specialised auction. We ought to raise a toast to your father and thank him for looking after it and passing it down to you. I bought it at a silent charity auction. I think I paid about £4. Oh, right. Did you know what you were buying? We'd been to an exhibition of the Queen's china at Buckingham Palace. -I know the one, with flowers in the panels. -Yes. Let's see if this is the same. -There's the mark of the Sevres factory. -The great French factory and that's the monogram of - the letter L mirrored, for Louis XV. And that mark is painted as it should be, in the early part of the Sevres factory, around about 1750-1760. -Now, is it real Sevres porcelain? It's got a tiny hole in the foot rim. That was the way they hung it in the kiln to stop the glaze spreading and sticking it to the kiln shelf. -That hole is where it should be and it has the black speck inside. That tells me it's Sevres porcelain. It was fired in the correct way. This is Sevres porcelain from 1750. -1780, I think that one was. And this particular painting doesn't look quite as early as 1750. -but it didn't leave Sevres looking like this. -I can see a hint of green in the background of the panel. -That's part of a leaf spray. The original decoration was flowers. -This had little flower sprigs all over it. flowers on a white ground were simple, everyday decoration. -he was paying a fortune for pieces with figure subjects on a bleu-celeste ground. There wasn't enough real Sevres to go around, so they bought the tea sets with simple flowers and changed them. -When you look closely, there are signs. Often you can see a little scratch across the middle of the turquoise. -Can you just see a little line? That was a scratch in the glaze on the original cup and saucer. -When they put the turquoise over it, it went into that scratch. And at the same time it burned. This black speckling is a sign that it was burnt in the kiln and went wrong. -But that affects the value. -A real one, you're looking at £5,000 for. even as a copy, it's beautiful. -and, even as a fake, it's probably worth £600 or £700. -Goodness. Oh, thank you. Well, I love it. -She was an artist of some considerable repute. -..but an artist in all forms. -She was an eccentric as well, but she has paintings too. -In what way was she eccentric? -She didn't believe in electricity or gas. She cooked in a hay box. -Yes, in the blue house. not necessarily talking about the commune that Eric Gill started there. Artists went to live there because they enjoyed each other's company. -It wasn't so much a colony as a place that artists enjoyed living. -There was her and there were many, many others, weren't there? -Yes, Louis Ginnett who did the portrait. Oh, it's clearly signed by him here. -This is a very penetrating portrait. -I feel fixed by the gimlet eyes boring through me. -Yes, wherever you stand, they're there. -and it seems to get to the heart of the woman's character. -and something has happened to the paint surface. -But, at the moment it's looking a little bit ropey around the edges. -then it's probably worth £1,200 to £1,500. This has been in my husband's family for about 100 years. His great-grandparents were great travellers round the world. He thinks that this was picked up on the continent and we've been told it may be Flemish. Right, but I think it's actually French. -We haven't used it to put anything in it. It's just an ornamental piece. If it was meant for bread, we're curious to know why it's got a key for instance. this lovely asymmetric typical Louis XV shape. -The hinge seems quite crude. -The hinge is glorious. I think the lock is later. It may not have had a key originally. But this is a typical original long charniere or hinge. But this glorious shape... all over central France you see that. What about the carving? That's rather interesting. You've got this serpentine outline which would have become popular in France around 1770. That fits in nicely with this type of carving which is transitional. You've got Rococo feeling to the foliage and to the shape, but a Neoclassical urn or vase here. this mad foliate idea of Rococo was giving way to Neoclassical. -It's a nicely made, expensively made piece of furniture in walnut. -it would be more likely to be in beech or oak. -Valuing it isn't easy. You don't see many of these. -I can see it being in a French antique shop, retail, for about £5,000. -But more if you want to insure it. Look at that! Isn't it...? Cor...! I tell you what, he must have been in there a good few years. He absolutely pongs. Well, if you and I had been in a box that long, we'd be that bad as well! Crikey, he's really musty. How long has he been in the box? -Well, he's getting on for 30 years since he's seen the light of day. -He's quite an extraordinary creature. -He is a bit, yes. -I'm not quite sure how old he is. Have you any idea? -My father bought him in 1956.
from a theatrical shop in Nottingham and we did shows in old people's homes and that sort of thing. My father used to do a magic show with my younger brother and I used to do a ventriloquist's turn. He was probably made in the 1920s by an individual maker of ventriloquist's dummies. -The eyes are probably real false eyes. -They're not painted. They are very good eyes. -of £200 to £300 today. -Yes. He's a very, very nice object. so we extinguished the fire and then we pulled out all sorts of things. There were old books and china, silver and those two coffee pots. but I like them and they remind me of my youth. -This was in Paris. Could it have been someone hiding family bits from the Nazis? -We thought maybe they were from the French Revolution or something. -But it's a great memory. Yes. Perhaps if we rub this, the genie will tell us everything! -and then dress them in different clothes for different occasions. and being married, and their first baby. Who have we got here? A boomerang... Why's it never been used? is tear it up, cut it out and play with it. So, for a bit of royal memento, it's fantastic. It must be quite rare. More rare because of its condition. -You paid 5p for it. -I wouldn't sell it for less than £50. -But in time it'll be worth a lot more. -Looks like a typical mid-18th century English side table. this very wide overhang. It almost looks like the top has been replaced. It does look a different colour, but I believe it's always been like this. leading to this very unusual foot with this little line here. I think it could be American. Well, that would fit in with the family background. My great grandfather lived in Syracuse in New York State. He was actually in music hall. before they settled back into England again. but it's not quite the same. It's got a sort of Dutch thinness and quality to it. but in the Eastern seaboard, especially Philadelphia, Delaware... they did use oak linings. This again... You see this sort of knob here? it's unusual to get this in what is probably 1750 shape. Again, I think this slightly drawn-out shape to the brass knob is American. This is not an English casting. and this funny little thing here and this great, empty space. and then something rang a bell and drew me to it perhaps being American. -It's almost like a Shaker feeling. resident in Europe who know about American furniture. to get an expert to verify what I'm about to say. If that's English, mid-18C, it's worth £2,000 to £3,000. But if it's American, a minimum of £15,000 to £20,000. At first glance, this appears to be an innocent silver-topped walking stick. we have nearly two feet of deadly Toledo Spanish steel. Where did you come by this lovely object? It's been in the house ever since I can remember. When my father died, I particularly wanted it. It was just part of the household. I believe he got it from his father before him. This would be carried by a Victorian gentleman for self protection. -Its blade is made in Spain, in Toledo, which is the great Spanish sword cutlery capital. -They still make them today. "Fabricado Para la Casa Sangster & Co Ltd, Londres." That means that Sangster's - whoever they were - would have had this made in Spain and then brought over here. -in which this was in use. -Just at the end of Victoria's reign. -and it's absolutely top quality. And there's also a certain amount of interest in it, from the point of view of its legality. -Did that come into your mind when you brought it? even before bringing it, because of the legality. I didn't know how I stood on that. Although sword sticks are prohibited weapons, there is an exemption for those which are over 100 years old. -So you're home and dry at 1891. It still remains an offensive weapon to wander around with. -wasn't reasonable excuse! Have you thought about what it might be worth? which has the cache of being over 100 years old, and, consequently, not prohibited, bangs the value up. -I think somewhere between £500 to £750. -Right. Thank you very much. It's been with us for the last 70 years. I remember it hanging on the wall as a child. -I'm told that I used to wave to it as I passed it in the hall. of the almost human-like portrait of a dog. Where the animal becomes totally anthropomorphic, I suppose. is the signature on the bottom. And for the life of me, I cannot read it! -I've never been able to. but could not write their name. but I can find no record of the artist. But whatever it is, it's a picture that you just have to love. Its doleful look at you is just so wonderful. because it's always commercial - is around £1,000-£1,200. You can salute it every day now. -Thank you. I wasn't even sure whether to bring it in. -I'm really glad you did. It's come down through the family from my great-great-uncle, who had a paper mill in Cookham. That's really about all I know about it. -Also he's actually on the list of subscribers here. -He is indeed. Charles Venables. "The Mill, Cookham, near Maidenhead." -to subscribe to a book like this. "A Monograph Of The Alcedinidae, Or Family Of Kingfishers, By RB Sharpe"
It's published by the author between 1868 and 1871.
are incredibly expensive to produce. -because they were such high quality. None of this colouring here could have been done by an amateur. It had to be done by a professional. Absolutely beautiful. Look at this one. This one's just absolutely glorious. which will put an added strain on the gutta-percha binding. This gutta-percha binding was an early form of glue that came from Malaya. They thought the idea was that they could actually bind books quicker by using this glue. They would thrust the books in - all the single pages. And, inevitably, it rotted and they'd fall apart. is, in fact, not in such poor condition. It can be put back together. It WILL cost a bit. The binding is holding. It does need refurbishing. But a good bookbinder should be able to do that. It's worth in the region of £5,000. -It was a christening bowl. -Lovely. But what went in it? Punch? -Well, no. Apparently it held rum butter. Sugar for the sweetness and spices for the spice of life. -and presumably clean, it was handed round and people put in money for the child. We've got the initials, haven't we? So it's a family piece. "August 2nd, 1798" which is the Battle of the Nile. The great defeat of the French there, all on a bowl. It doesn't look Staffordshire to me. -Well, it belonged to a north country family. and these glorious colours, they're all underglazed and that took a lot of doing. They're high-fired colours, but this is one of the finest examples. It won't have a mark on, I'm sure. Let's have a look. -It's mere earthenware, it's pearlware, but 1798. That would have been about the date, it can't be before, maybe just after. -is certainly worth £4,000 to £5,000. It's the finest bowl that I've seen in earthenware. I'm a porcelain man, but that really turns me on! Picture backs - when did you collect these? because, frankly, I just never saw anything as good as this. I mean, it's very rarely that one sees such good examples. In this case, what have we got? We've got the heron, looking at a date there around the 1750 mark. It is thought actually to be one of the Jacobite spoons. so they had secret Jacobite societies and various symbols by which they were known. that is one of the great rarities. Little bit later in date - you've gone on to the old English after 1760. When did I last see a Masonic? I mean that is just so rare. Just seeing one of those, I would be quite excited about. well in excess of £1,000 for the set. -Now how come you've ended up with a little puritan spoon...? I had seen that shape before somewhere but I just couldn't remember where. -And I've been trying to find who made it. There's a maker's mark - "AG." That actually is one that we haven't tracked down to actual location yet. is the transition between the early English and the more modern spoon. Lovely condition. How much was it? It was next to nothing, you know, £30-£40, probably. Yeah, I would say that spoon today, you're looking in excess of £700-£800. It's been such a pleasure looking at them. I've always fancied using one of these to shave with. -I don't think my husband would fancy it. -You've got no family tradition of using them? They've only ever been on a wall. -Hanging from the holes in the top presumably? -They go back an awful long way to the end of the 17C. We're looking about 300 years old. which is this red, blue and gold, the typical Imari colours of old Japan. So this one is in lovely condition, no cracks, so worth at least £1,000. so we're going to be £600 there. Oh, that's nice though. I just enjoy them, I think they're lovely. -Well, actually, I bought these from an auction in New York. -what did the catalogue say they were? -Did they give them a country? -Right. What did you pay for them? -Just over a thousand dollars. -Well, what they're trying to be is Japanese. -These are the seven gods of good fortune. -This one is obviously a fisherman. But they are of a type which is being carved in China. -And they are absolutely new. They were new when you bought them. -..and one should not be buying ivory at all. Unless you can be absolutely sure that what you're buying is of age - 50 years old or more. Now, when you brought them from New York, did you declare them? -And what did they say? Well, when I say I brought them into the country, I paid for the shipping from the States. -So they would have had a certificate? -Yes. Well, as far as I'm aware. by signing these of age when they're clearly not. -It's supported by the fact that we liked it. You are free from blame. You bought them in good faith. -about six or seven years ago, just as a gift. -Do you know what it's for? for writing their partners' names in for the next dance. and it has these little ivory slips inside on which you can write with a pencil and rub that off. than be carried on your wrist at a ball, but it's a beautiful thing. Made of mother-of-pearl and gold, and these beautiful little. ..
-Oh yes. Mother of pearl back, lovely lustre on the shell. And little turquoises which represent forget-me-nots. The period would be around 1840 or thereabouts. So it's quite old and it has survived in the most amazing condition. which is, I think, really quite extraordinary. Probably should be insured for around £1,000. Here we have a 20th century antique. A Barbie doll - a speaking Barbie doll. -"Which new dress shall I wear?" The agent called me one day and said they wanted a voice inside a doll and would I go for an interview? and I had to go back a couple of weeks later and record 15 different sentences, and six were used. -..saying the same old thing! how bright and colourful a funeral procession is. Look at this colour, it's absolutely magnificent for a funeral service. And here, chief mourner, the Duke of Wellington. Well, this, of course, is the Duke of Wellington's funeral. And here is the man himself. That is the most incredible plate. -You know all this is cast iron? When I was a boy, you could go and see this in St Paul's Cathedral, where he was buried. The legend goes that it was so heavy that they couldn't get it up Ludgate Hill. He was two hours late for his own funeral, which I think is wonderful. -And so it goes on. It really is absolutely magnificent. -So, tell me about it. through a friend, had a ticket somewhere on Ludgate Hill in order to see this procession. I think this was produced a year later. It probably took a long time to produce. He bought it. I think the receipt is in the front. because I've never seen a receipt from Ackerman's before - "One panorama, Duke's funeral". -Not Duke of Wellington's. 31/6d. "from a window in Ludgate Hill and paid 20 guineas for their seats." -That must have been a lot of money in 1852. -Couldn't you buy a house in 1852 for that sort of money? I just think it's quite incredible. It does need some repair. but it is an absolutely wonderful thing and, of course, stretching out to ten whole feet. Well, I suspect that, even in the condition it's in now, it's probably about £1,500 to £2,000. -It is magnificent. Thank you so much. This picture is by A Mollica who painted in Napoli - Naples - in 1888. -So how did this Italian picture get into your house? -My grandmother went to a house sale around 1920. I gather that she brought it home by pony and cart, but that's about all I know. It is a huge picture and it's got a typical 19th century Victorian frame to make it look grander and bigger. What I like about these sort of pictures is they're very honest, beautifully painted. Look at the quality of it. It's absolutely beautiful. for an artist that in most dictionaries gets one line or two lines of information. and we know that he was from Naples and really didn't move that often outside his native town. He exhibited occasionally, sometimes in Turin, sometimes in Rome. He's known to have exhibited in London. You would never get this subject matter in the 18th century. It's a 19C phenomenon, to see a work which is rather trivial, in a way. It's like a sort of snapshot of, um, a passing moment and I think he's captured it beautifully. and for a minor Italian painter, I think we have a superb work. they're very proud of their art and there is a big market for Neapolitan works of art. -I think if it came up for auction, it could make between £5,000 and £7,000. -What does one pay for six monkeys in a Sussex jumble sale? -I'm never at the right place! -How long ago was this? -That makes me feel a bit better. made by the German company Schuco. Made in about 1930, so they're perhaps older than you'd imagine, by looking at their colours, and so on. And they've got these very sweet pressed tin faces which gives them all the expression. -They're charming. As you can see, they came in different sizes. and this tiny one being the smallest chimp they made. They're all very collectable these days. -The little ones would be worth perhaps £50 to £60 each. And the large one perhaps as much as £75, so your 50p's worth has actually done quite well. I saw a very similar one on your show earlier in the year. Right, that is true, yes. In fact, we had Judy as well. -and the simple answer to your question is, yes, he is the same. than the one we had, and actually in slightly better condition as well. It's by Hemmel, it's from the 1850s. It's everything you want in a Mr Punch. And Mr Punch is the more valuable of the two. and that sold at auction for just over £10,000. -And this one, I have no hesitation in saying it's got to be at least that. -We have it hanging at Christmas. Yes, every Christmas since I can remember, we just bring it out. -You treat it like a Xmas decoration? -Yes, it comes out with the decs. -Extraordinary. If I owned this, I'd want to look at it all the year round but it's a nice thing to do. -About 20 years, I think. and they hoped we'd get as much pleasure. -It's obviously a watercolour that charms. It generates that kind of personal interest. -So do you know about the artist Kate Greenaway? -She was a Victorian watercolour. Didn't she paint a lot of children? She grew up in London, in Hoxton, in fact. A very urban upbringing, and it made her long for the countryside. And a lot of her figures are of children in the countryside. She has this very clever way of capturing the homeliness and domesticity of the life of children. The comfort and safety and also the dreams of them. falling on her face, and it's caught the features of her face and lovely eyelashes. -Really sweet. She has a particular facility of watercolour. and, later in her life, she was championed by no less a figure than John Ruskin. -Through this, she attained a stature in the world of painters, perhaps denied to other illustrators. -It's interesting that it was bought from a book dealer. It is possible this was a book illustration. -It might even have been a design for a Christmas card. -We actually had a Xmas card made. -Yes. And sent it out. -Can you recall how much you bought it for? I know it's 20 years ago. -I think a few hundred pounds. It was about £300 or £400, possibly. -Well, in my opinion, it's worth at least £6,000 to £8,000. -That's amazing. That really is, isn't it, Laura? especially at those silver spoons! Thanks to the law-abiding people of Haywards Heath. Goodbye. Michael Aspel invites members of the public to bring along their antiques for examination. Nelson, the Duke of Wellington and Mr Punch all make an appearance when the team visit Hayward's Heath in Sussex. In addition, a ventriloquist's dummy emerges from a box after 30 years and a silver-topped walking stick becomes two feet of 'deadly Toledo steel'. Expert Christopher Payne encounters a dilemma over a table which could be worth thousands more if, as he thinks, it was made on the other side of the Atlantic.